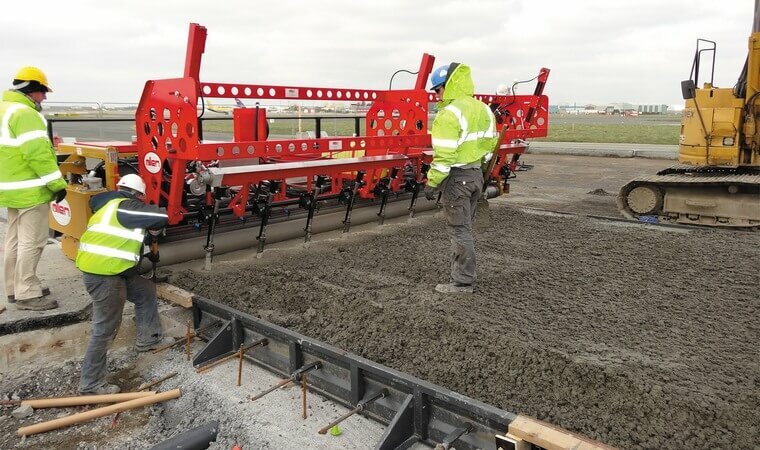 Interconex offers a variety of concrete paving equipment that can be designed to accommodate your pavement pour. 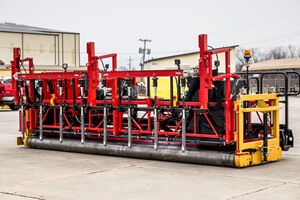 Allen Triple Roller Tube Pavers (TRTP) are specifically designed for paving large projects fast, accurately and efficiently. They are powered by gasoline or diesel engines, with easy-to-operate control systems, and level-tested roller tubes. These are ideal for pervious concrete pavements. These come in three models, the 150B with 6″ tubes, 255CD with 10″ tubes and optional gang vibration, and 275 with 10″ tubes, incorporated vibration system, and rear work-bridge. 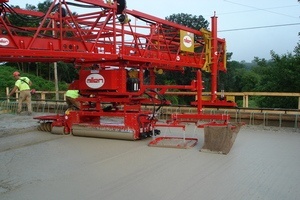 Allen offers three models of transversing roller tube pavers, or Bridge Deck Finishers, the 4836B, 6036B, and 6048B. There are a variety of options available for these pavers, such as pivot legs, power crowns, spud vibrators, and power winches. 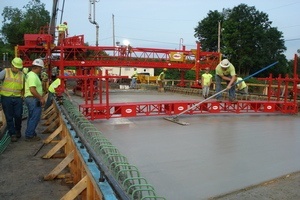 With all this variety, we can design the perfect BDF for your next bridge deck or paving job. Allen Work Bridges are ideal for joint work, applying curing compounds, bull-floating, applying textures or whenever bridging is required. These can be adapted to run on pipe or pneumatic tires depending on the application. Allen Work Bridges are available standard in 12″, 18″, and 24″ frames, but depending on length required we can custom design a work bridge to meet your needs.